Jill is a lovely rough-coated tri and she is rock solid. When she joined our team she was ranked 3rd in Virginia for the Ranch Division. Tom Lacy had trained and actively trialed and won with her. She adapted to goose work with gusto! 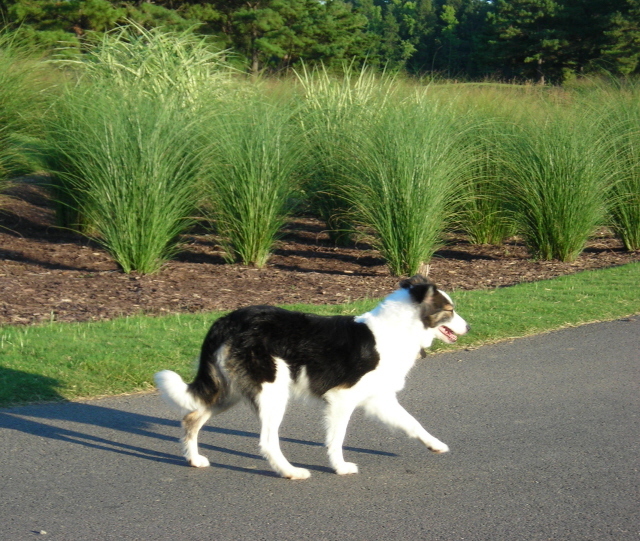 She is an amazing dog – she knows over 18 whistle commands, loves the water and can swim as fast as the geese. She has a wonderful temperament and is a great mother. 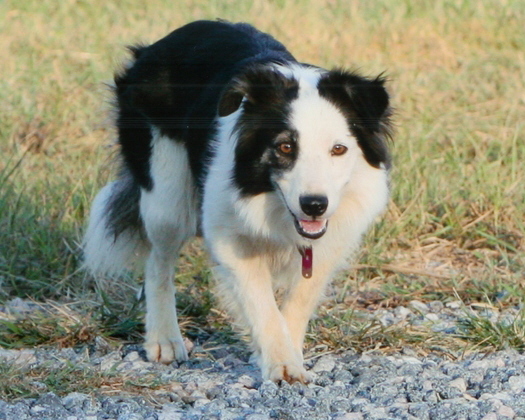 Her offspring are competing in herding, agility, and some are beloved pets. Her daughter, Pig, is one of our best goose dogs! Her other daughter we have, Cassie, is just gorgeous and is turning out to be a phenomenal dog. Jill is DNA/CEA tested normal, her hips are OFA good, her eyes are normal and she is also BAER tested normal. She gives her intelligence and athleticism to her offspring.